It appeared to be an embarrassing situation for attorney Lennox Lawrence who is representing 18 Government ministers in a libel suit involving the political leader of the opposition United Workers Party (UWP), Lennox Linton. When the matter came up for a case management session last week, Master Ferdilia Corbin Lincoln ordered Lawrence to pay a cost order of $3,000 for the absence of nine of the claimants who were absent from the sitting of October 27, 2014. The court had ordered that all ministers to be present after they failed to appear two weeks ago. 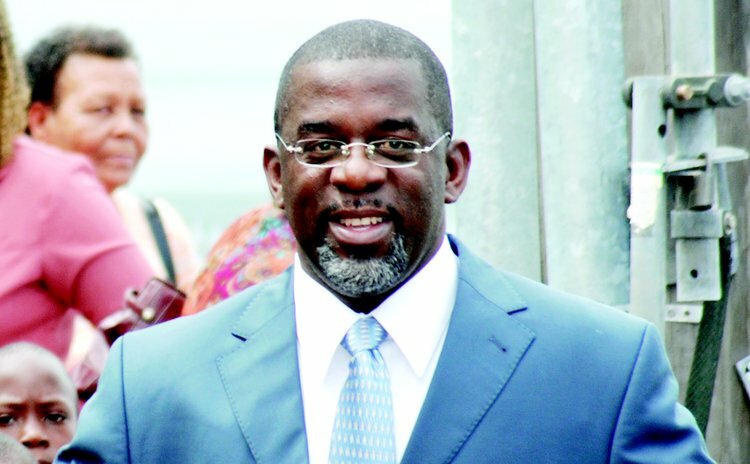 The Cabinet of Ministers of the Commonwealth of Dominica filed the lawsuit against Linton on 29 May 2014. Lawrence told the court Master that Prime Minister Skerrit had "a family emergency" and so was unable to attend court but he ( Lawrence) had not properly advised the other Ministers about their court appearance and so he was taking "full responsibilities for their none appearance." Nine ministers were present and the Prime Minister was excused. The lawsuit was filed following Linton's comments made during a UWP rally in St Joseph on 25 May 2014 where he accused government ministers of behaving inappropriately when women approached the ministers for assistance belonging to the State. At a UWP press conference held on October 27, Linton said that the court was of the view that the failure of the Ministers to obey a previous court order was "disrespectful" and so it imposed the fine. On Tuesday, 28 October 2014, the matter again came up for case management; this time all the absent ministers who were previously absent, as well as Prime Minister Skerrit was present. The Master gave both parties specific instructions which must be adhered to within a specified period of time. Attorney Gildon Richards is representing Linton in the matter.